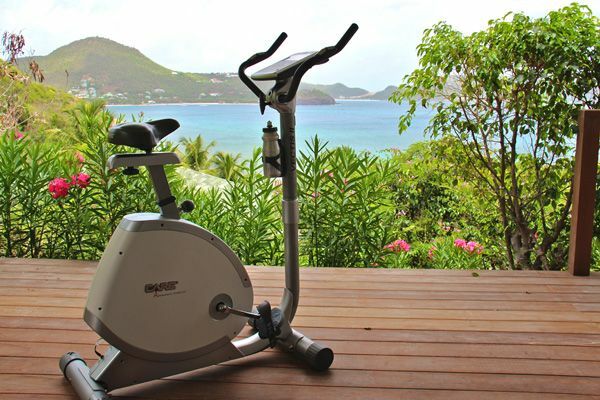 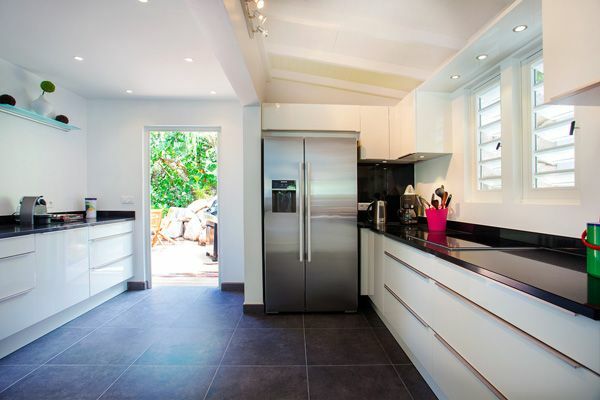 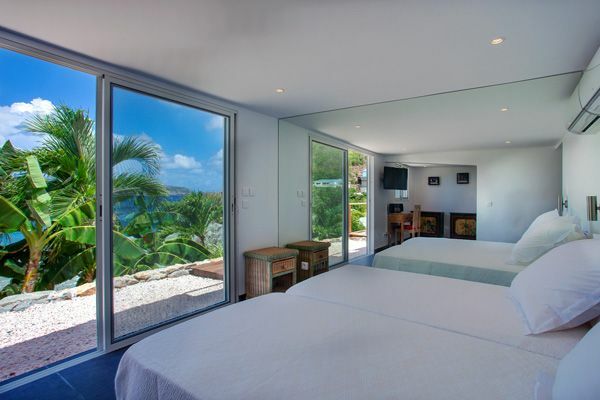 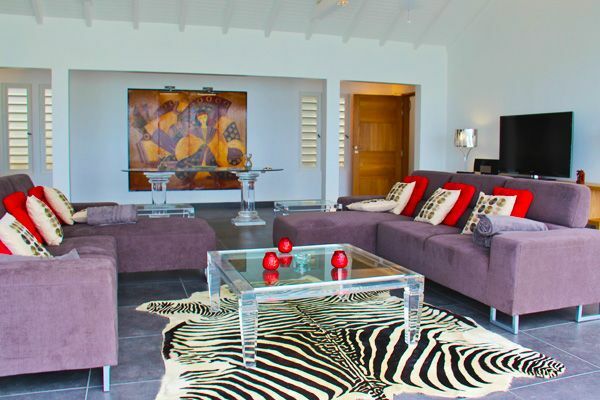 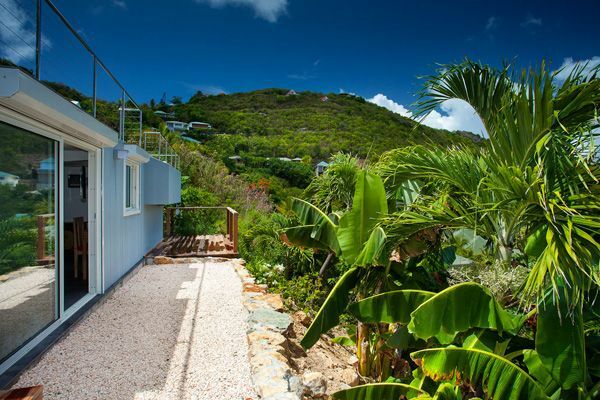 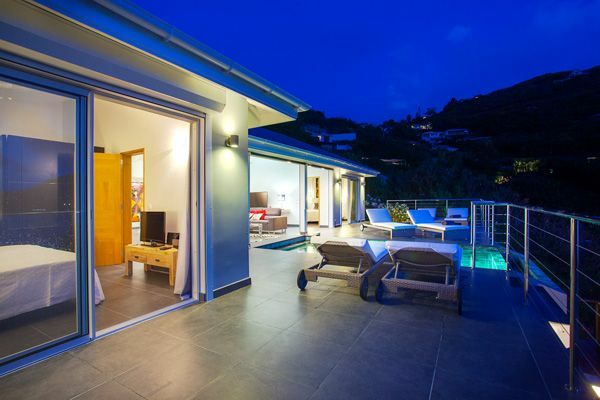 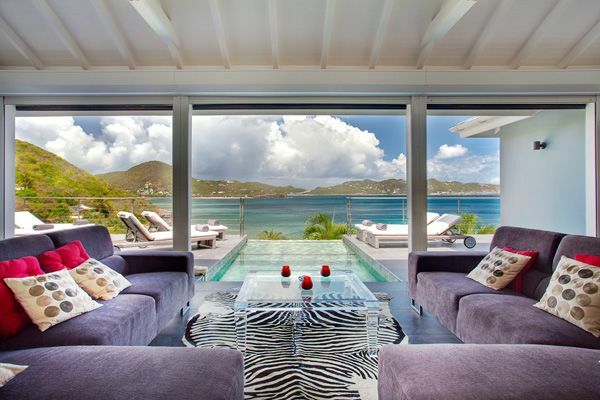 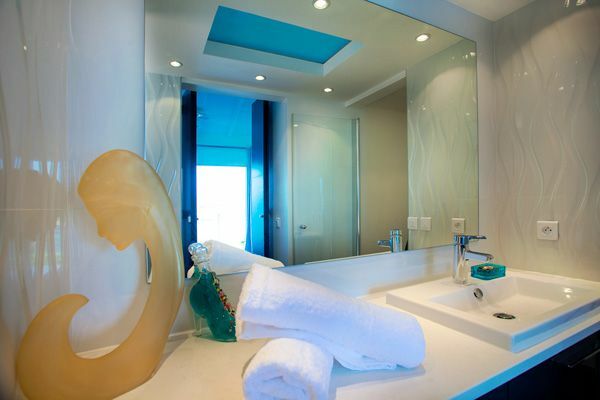 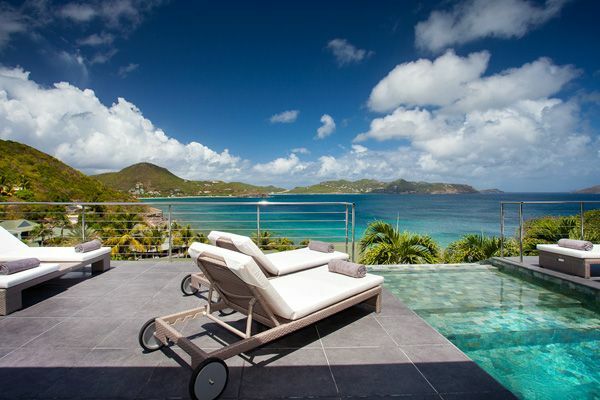 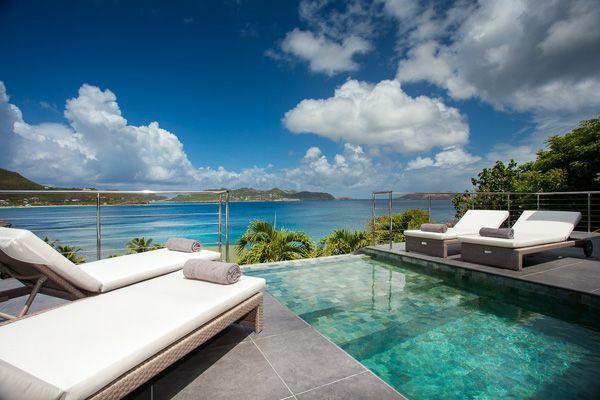 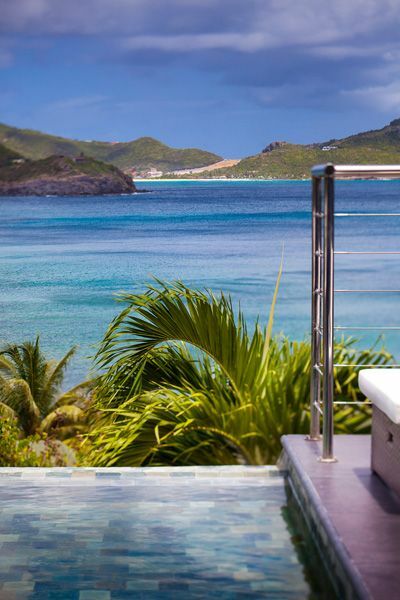 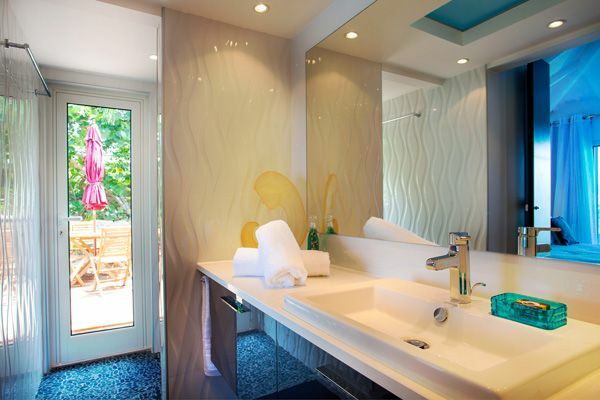 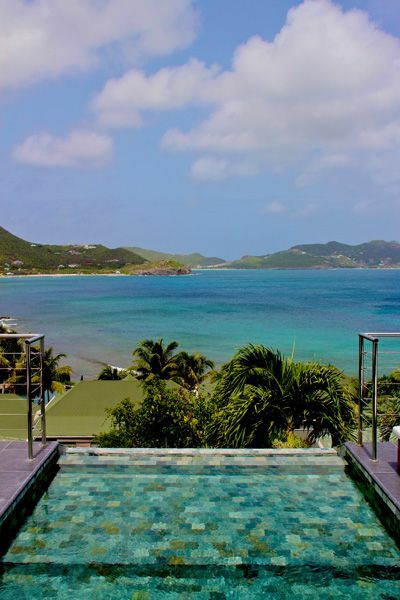 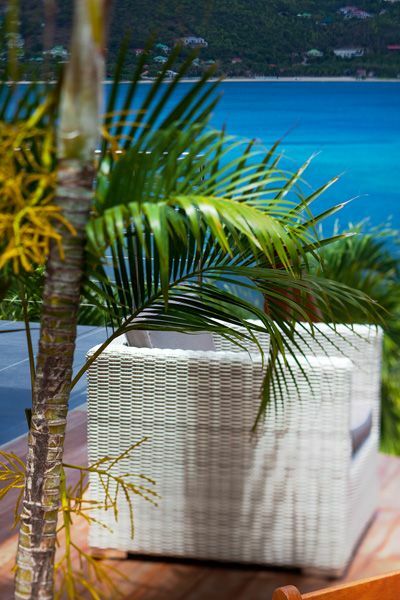 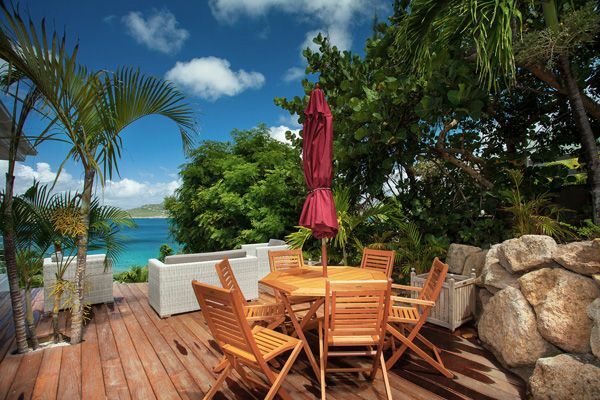 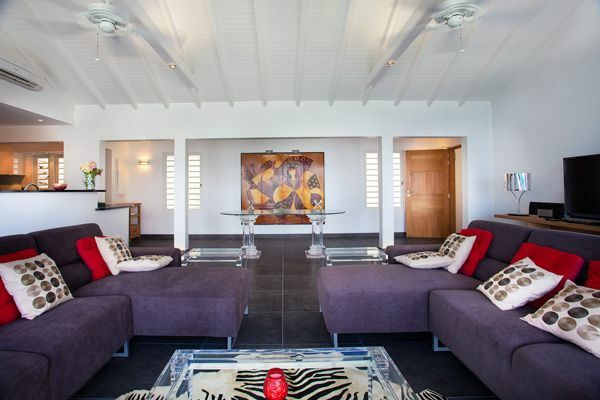 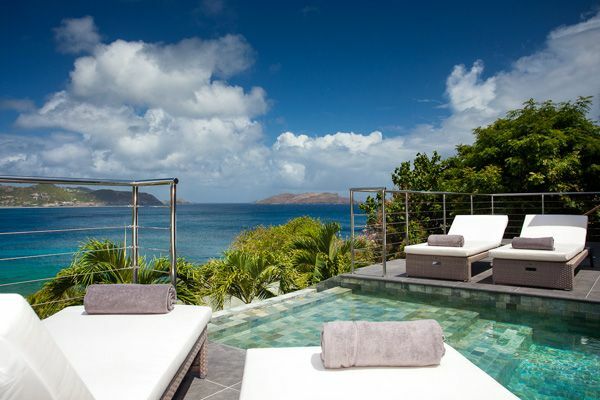 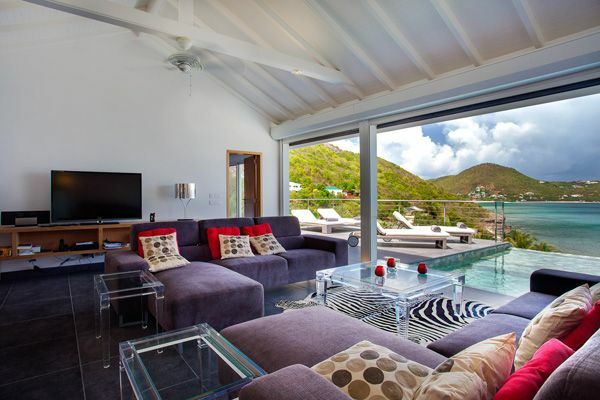 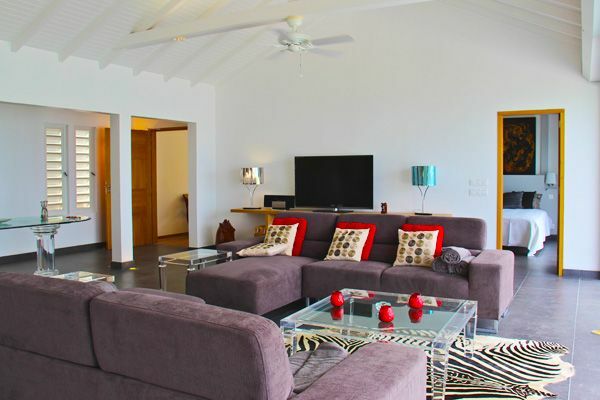 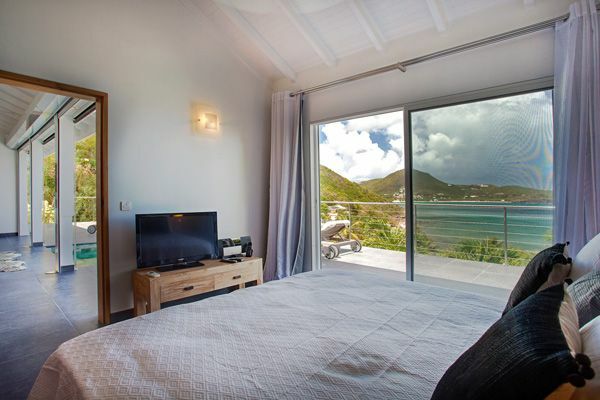 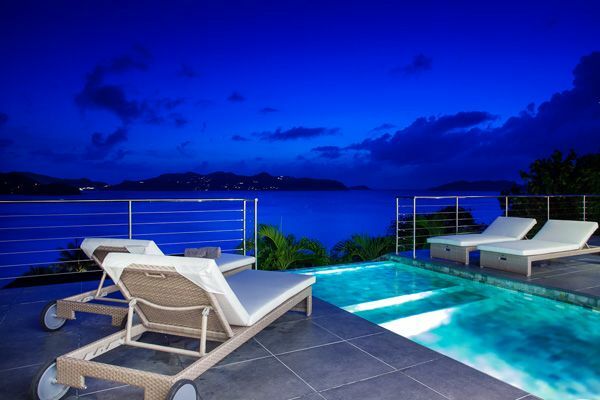 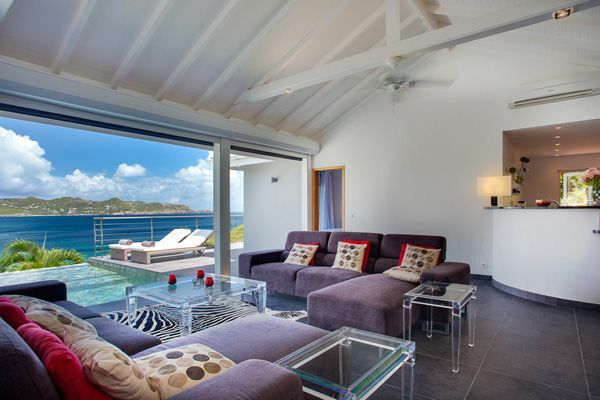 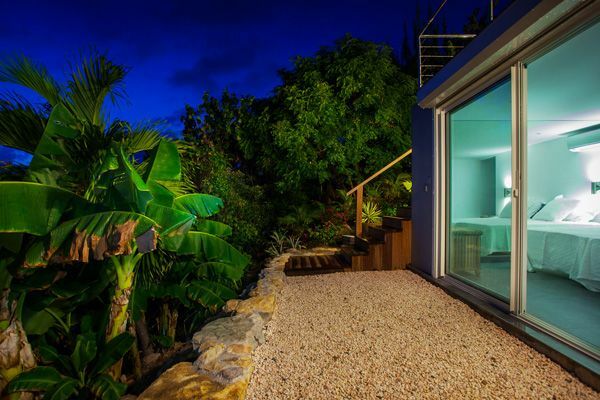 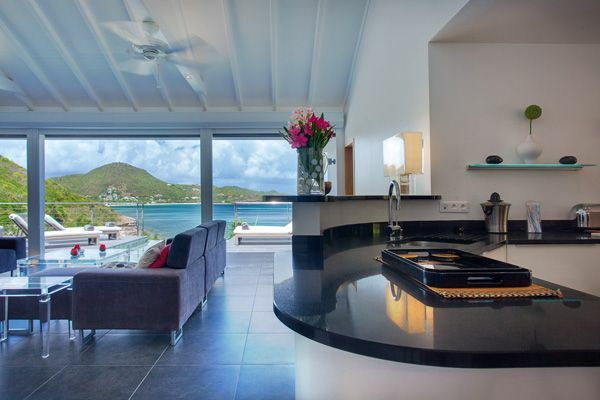 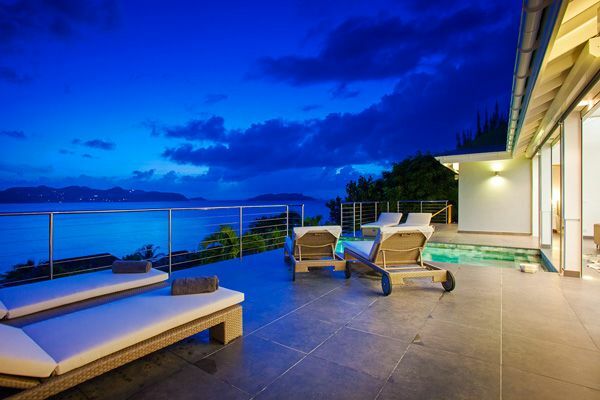 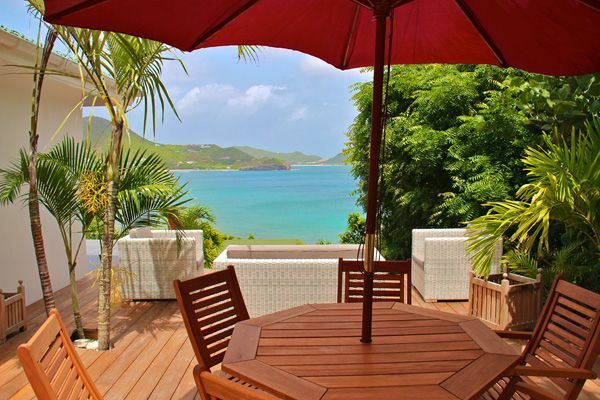 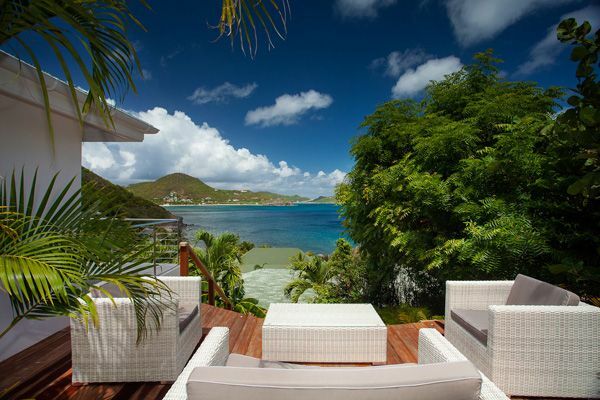 Located at La Pointe Milou – St Barth, Villa MAND is a tastefully furnished villa with modern style furniture and offers a beautiful view facing the ocean. 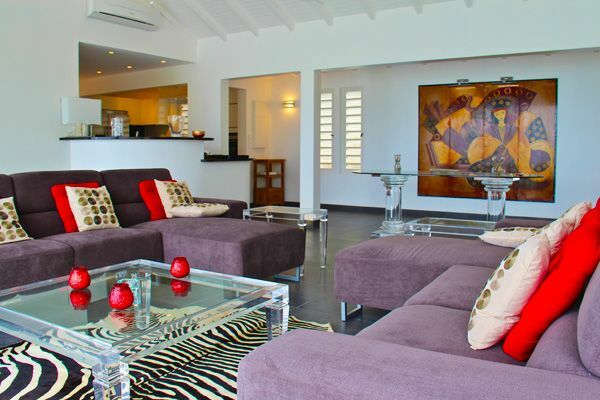 On the covered terrace is the living-area with comfortable sofas and which opens directly onto the sunny terrace with the pool. 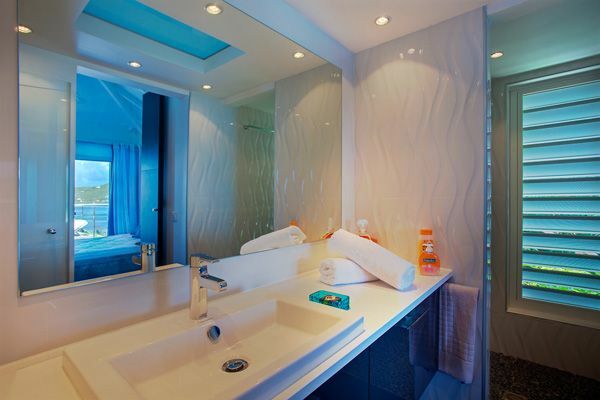 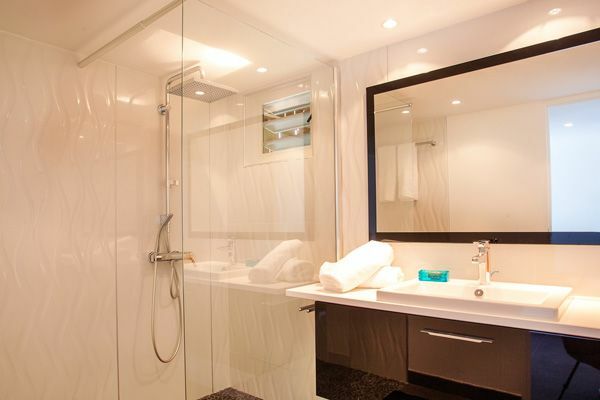 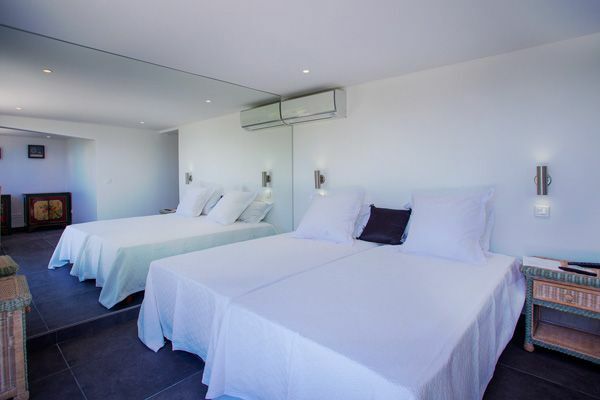 Two equal size bedrooms with en-suite bathrooms are located on each side of the living area which allows privacy, the third one is located on the lower level. 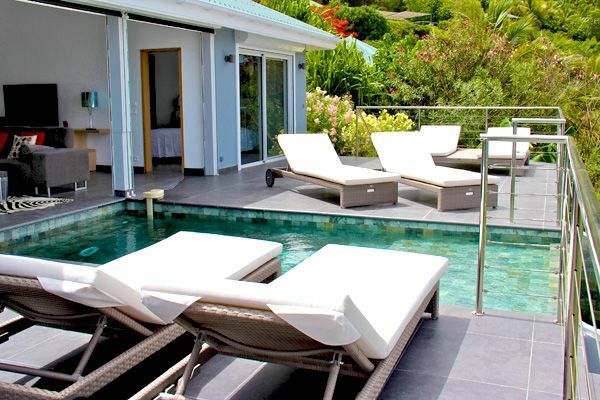 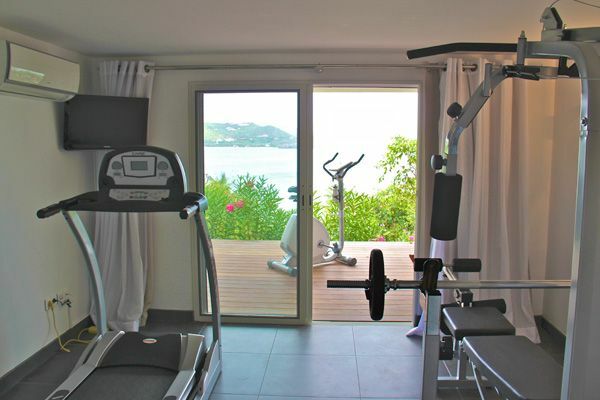 Villa MAND is located at two steps from the Christopher Hotel****, its restaurants and large pool. 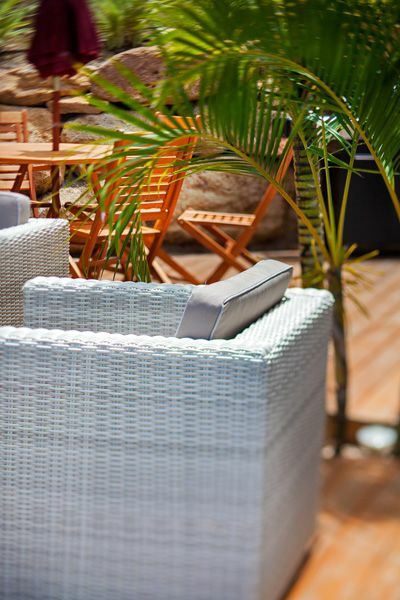 You will have the advantage to go to a good restaurant without having to take a car. 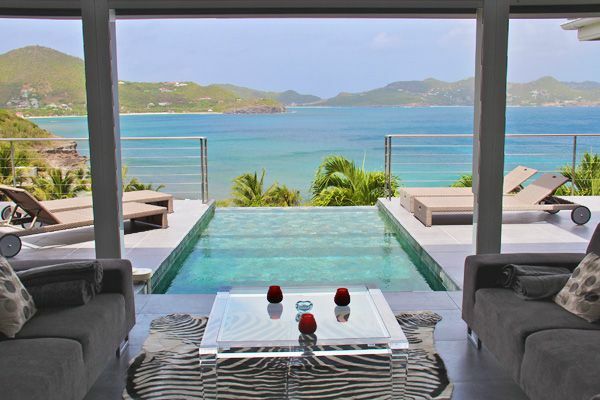 Light and breezy, Open onto the pool area. 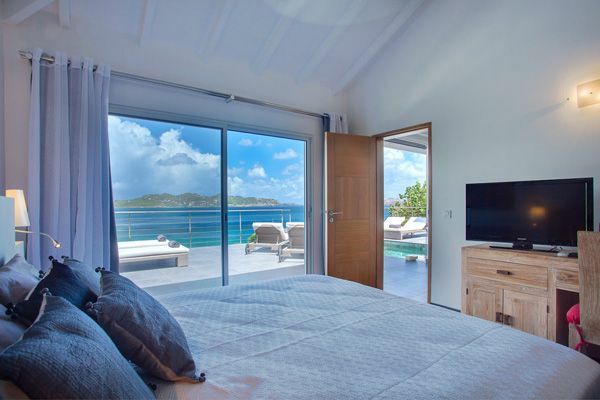 Flat screen TV with Canal Sat & TNT, DVD, Ipod Dock, WIFI. 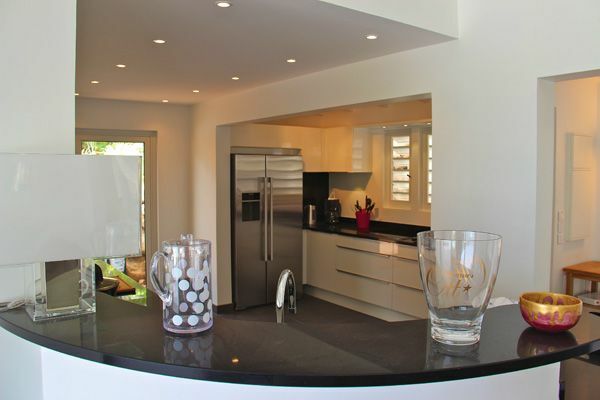 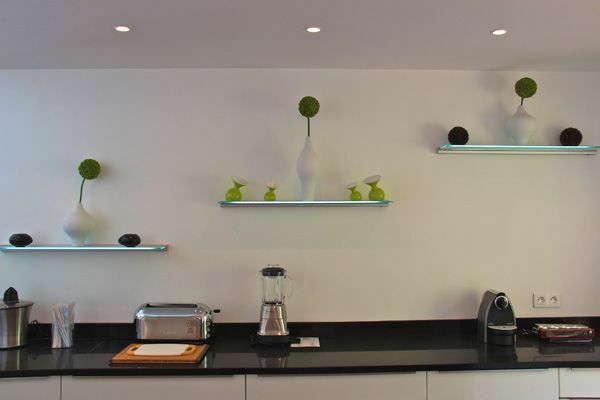 Oven, microwave, fridge, blender, coffee-maker, nespresso, toaster, dishwasher. 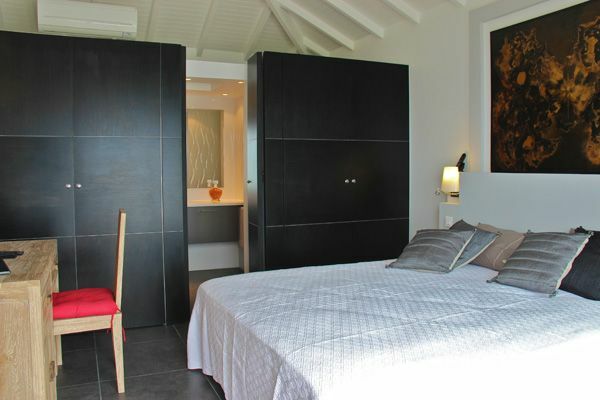 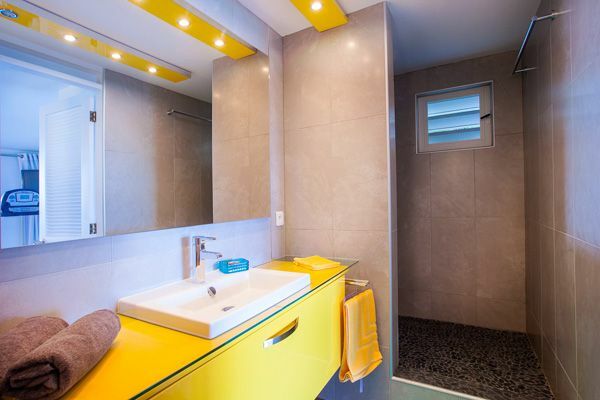 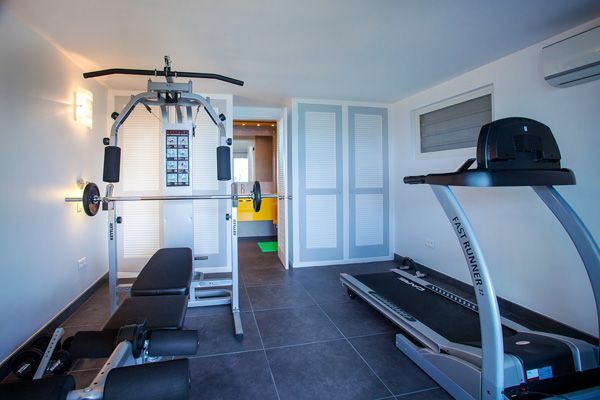 Two bedrooms are similar and located on each side of the living-area for more privacy, one is located downstairs.